LOUISVILLE, Colo., January 4, 2018 – Inovonics, an industry leader in high-performance wireless sensor networks for life safety applications, announces the release of its new EN1245 Wireless CO Detector. The new CO detector addresses a market need by meeting the UL 2075 (Gas and Vapor Detectors and Sensors) and California State Fire Marshall (CSFM) regulatory approvals. 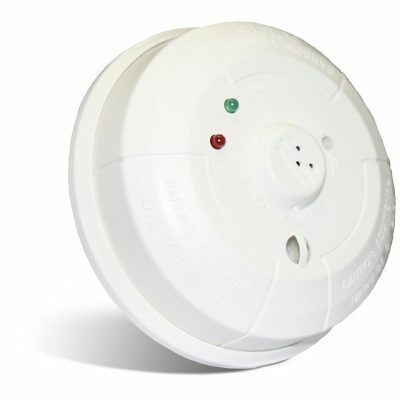 The EN1245 Wireless CO Detector features an onboard sounder, an LED indicator, tamper and local test. It’s also monitored by the EchoStream® network, alerting the user when sensor maintenance is needed or the battery is low. The CO sensing element has a ten year sensor life.